Fidel Publishes New Book of Poetry! 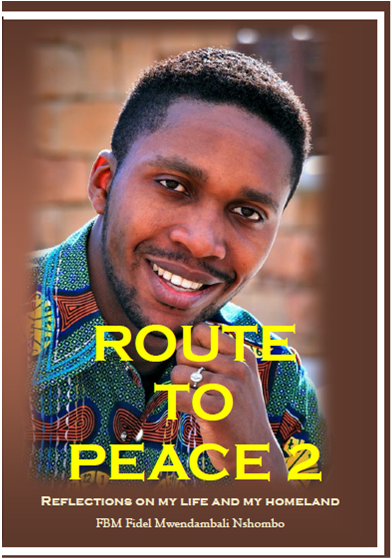 Fidel is published once again with Volume 2 to of his “Route to Peace” poetry series. In this volume Fidel reflects on the courage, strength and determination it requires to be a refugee. He sheds light on the atrocities of war, and particularly the brutality women face in war zones. Fidel is a voice for peace and change and admonishes men who go along with brutal practices in the name of cultural acceptance. Fidel also reflects on the experience of being separated from family by war. Please support Fidel’s call to improve the lives of refugees by buying a copy of this book for yourselves and sharing it with others. If you order through this website on our “Buy Poetry” page, we will automatically send you his latest volume unless you specifically request Volume 1. Please let us know if you would like both volumes, in which case, you will receive a $5 discount off your order. ← A Local Celebrity Needs YOUR Help!